Happy Easter Weekend to everyone!! 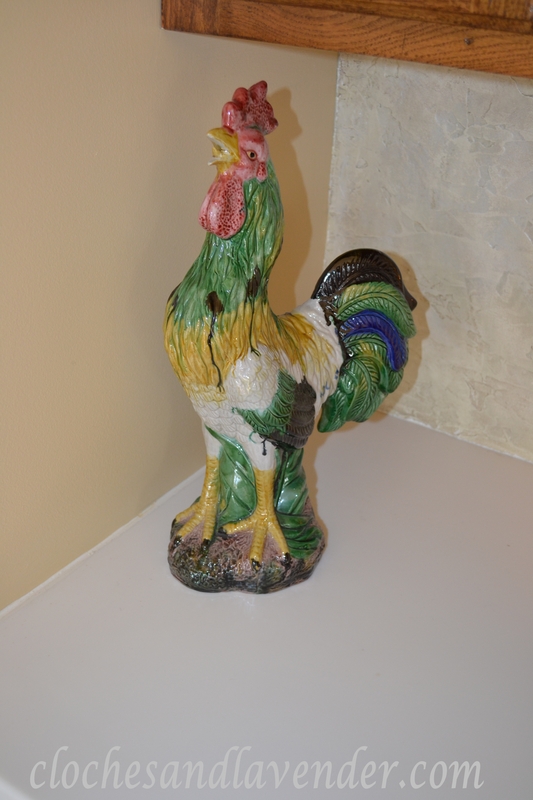 You may remember in an earlier post that I spoke about this rooster I found at an antique store. Well, I found it a brother yesterday and brought him home. I also took some corks from my girlfriend to fill this glass jar to finish off the grouping. I decided it would finish the bar area off nicely and add whimsy. Such a classy pair of roosters! The jar of corks is a very clever decorating idea. I love corks in anything! They’re becoming more difficult to find too. 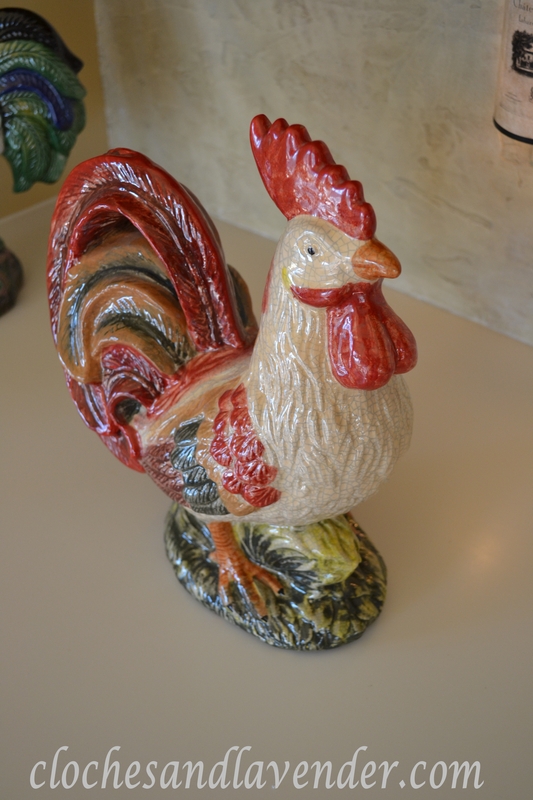 Love your roosters! 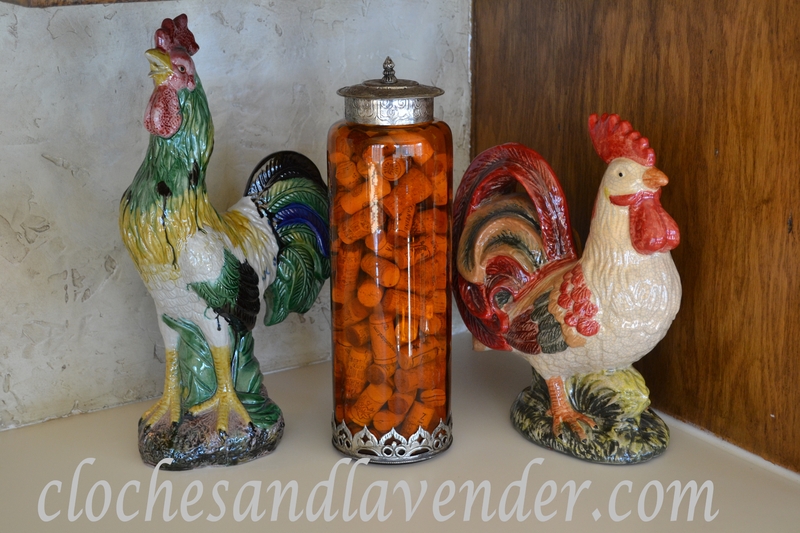 This is a great vignette! Happy Easter! 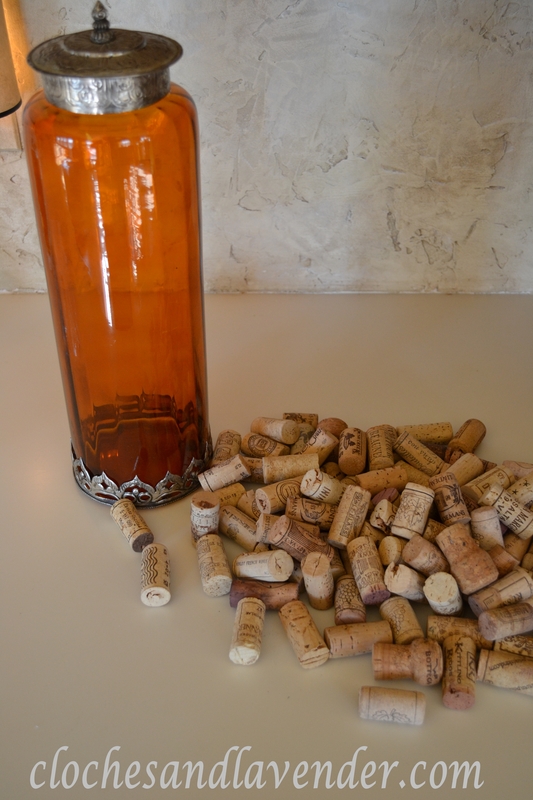 Great idea for displaying corks! When did you get that rooster?